Hugo was released in 2011 to some surprise for those who were expecting Scorsese’s next movie to be another violent, sour crime thriller. This movie is instead aimed at children and has a much more fantastic, whimsical atmosphere as it follows an orphan who lives in the walls of a train station. With a dose of CGI and an exuberant cast, this movie takes on a fable-like quality. Hugo is an adventure through imagination and wonder. Set in 1930s Paris, Hugo is a visual stunner, which is where much of its praise originates. 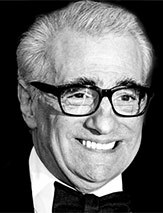 Scorsese captures the look of the era and passes it through a rosy lens of whimsy and colour, creating a make-belief world populated by extraordinary characters. Scorsese shows without a doubt that his talent for cinematography extends beyond the stark and realistic, painting a world that could well be from a child’s colouring book. He achieves this with his signature style of showing the world through the main protagonist’s eyes, colouring everything with Hugo Cabret’s personality. Hugo is played by Asa Butterfield who does a sterling job of keeping the wonder of this film alive. Likeable and earnest, his performance underpins Hugo’s charming adventures in 30s Paris. Asa is supported by Chloë Grace Moretz playing his friend Isabella, Sacha Baron Cohen as the nasty station inspector Gustave and Ben Kingsley as Isabella’s godfather Georges. This ensemble is strong and flexible, helping to add a theatrical, larger-than-life feel to the movie. We’re presented with a fairly typical orphan tale as Hugo loses his family and must find strength in himself, until the addition of more whimsical elements like a mysterious automaton. With his father dead and his uncle missing, Hugo struggles to maintain an elaborate railway station clock while avoiding being sent to an orphanage. All the while, he seeks to repair the automaton which his father worked on, hoping to reveal clues about his past. There are also strong links to the actual, real-life pioneer of French cinema and special effects, which is perhaps Scorsese’s love letter to his chosen field. The motifs of self-discovery and adventure are powerful and add to the sense of watching a fable, complete with moral overtones (somewhat less domineering than those in Scorsese’s previous movies) and uplifting triumphs. There’s also more humour in Hugo than Scorsese fans might expect, or rather of a different tone. This is one Scorsese work which divides fans, perhaps because it’s so different to his other work, but his talent is still undoubtedly present in the striking 3D visual style and artwork. This movie gives us a glimpse into young Martin’s mind, as of course his love of cinema began as a child and in Hugo we see the world through the eyes of unfiltered imagination. There is an innocence to this movie which replaces his usual themes of obsession, decay and brutality. Hugo is an enchanting film which may not deliver the kinds of thrills and cool dialogue people associate with Scorsese, but it does do something that many films starring children fail to do; give the kids credit. Hugo and Isabella are bright, interesting characters who are not helpless or simply vehicles for repeated catchphrase jokes. The use of 3D is to be applauded, enhancing each scene and drawing the viewer in. 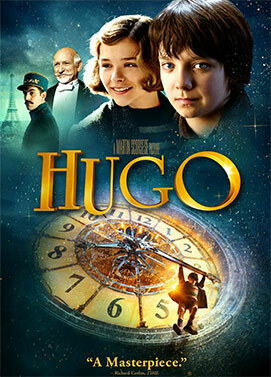 Altogether, Hugo is a movie for children and adults who cherish imagination and know how to daydream.